Welcome to Horsefly River Ranch. A year round paradise in the heart of the Cariboo! found anywhere. All summer long the crystal clear water of the Horsefly River invites you for swimming, river tubing, canoeing and rainbow trout fishing. Fall and winter offers great hunting, ice fishing, snowmobiling, snowboarding and cross country skiing. 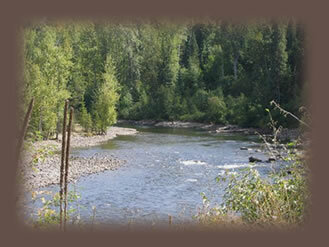 Whether you are coming to Horsefly for work or play, Horsefly River Ranch is the place to stay.